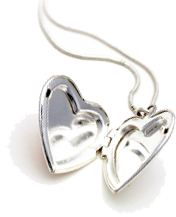 Of all the days in the calendar that lend themselves to the gift of jewellery, none seem to be as natural as Valentine's Day. Named for an early Christian saint, it is the time when everyone sends endearing notes (called valentines) to everyone who means something special to them. It is likely that more marriage proposals are made on this day than any other. And florist shops and places that sell chocolates see their sales volumes skyrocket. It's also a very busy time for jewellery stores because few things connote romance as much as jewellery does. More than flowers or chocolates, it signifies enduring love because jewellery lasts a lifetime and even spans generations. Once again, jewellery is the perfect gift. Fortunately, there are a number of options when trying to choose a gift. It's as much a personal preference as anything else when trying to decide between yellow gold, white gold or platinum jewellery. Sentimental favorites include the color red which can be highlighted by red gemstones, and white pearls. It's also a good idea to keep in mind the recipient's clothing choices when trying to decide what to buy. Would yellow gold be a good match for the bulk of her wardrobe, or would a white (silver) hued metal be better suited for her. The thoughtfulness that comes with thinking this through is always appreciated. Men, of course, can also be recipients of jewellery gifts on Valentine's Day. Just be sure that the gift is something that the man would actually wear. Male personalities, whether they be sports figures, actors or musicians, have become comfortable wearing jewellery all the time, making it easier for men everywhere to do the same. For this occasion, you can often go beyond the standard men's gift of a set of cufflinks or tie tack or money clip and make it something more ornate. A lapel pin would do nicely in this situation.